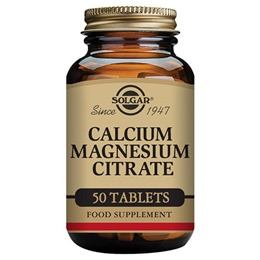 Solgar® Calcium Magnesium Citrate Tablets contains key nutrients calcium and magnesium. Calcium is the mineral which is most present in our body and is stored mainly in our bones. It is required for strong and healthy bones, and teeth. When we age the absorption of calcium decreases, reason that we should make sure we have enough calcium in our diet by eating dairy products such as milk, yogurt, cheese and butter. Intake of adequate amounts of calcium as part of a healthy diet, along with physical activity, may reduce the risk of health concerns connected with bones and joints in later life. When we are not able to reach adequate levels of calcium through our diet, a supplement might be advised. Magnesium is considered by experts to be a vital mineral required by every organ within the body and can naturally be found in leafy green vegetables. It can be recommended for everything from promoting restfulness, supporting muscle function, to releasing energy from food and so relieving tiredness, as well as aiding towards a balanced mind. 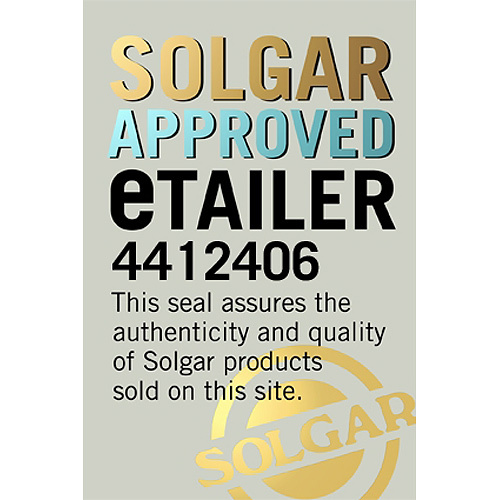 Solgar® Calcium Magnesium Citrate is available in a citrate form, which is a highly absorbable form of magnesium compared to the more commonly available form of oxides. 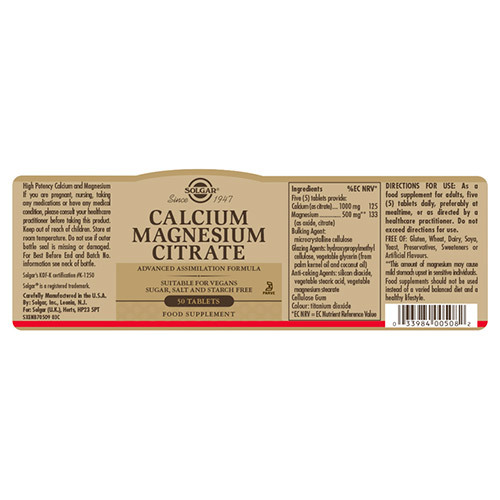 Magnesium citrate is therefore ideal for those with digestive issues or those who do not absorb other mineral forms so easily. Solgar® Calcium Magnesium Citrate delivers magnesium and calcium with 5 tablets daily, supporting your optimal wellbeing. **This amount of Magnesium may cause mild stomach upset. Adults: Take 5 tablets daily with food. If you are pregnant, nursing, taking any medications or have any medical condition, please consult your healthcare practitioner before taking this product. Keep out of reach of children. Store at room temperature. Do not use if outer bottle seal is missing or damaged. 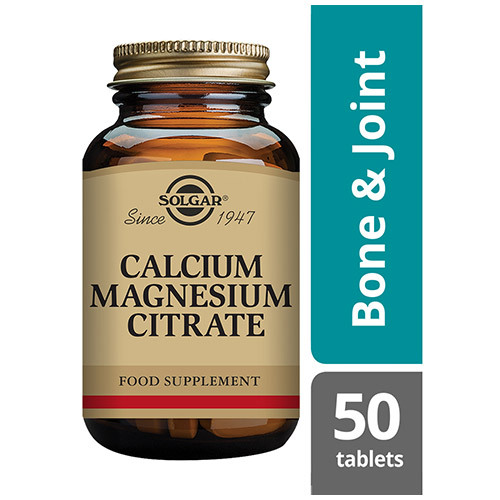 Below are reviews of Solgar Calcium Magnesium Citrate - 50 Tablets by bodykind customers. If you have tried this product we'd love to hear what you think so please leave a review. First tried carbonate formulations, then citrate formulation. Separately to start with, then together as in this product. Completely eliminated my leg cramps.